Steve Carlin was the writer, producer and creator of Rootie Kazootie, Happy the Humbug and The 64 Thousand Dollar Question. Rootie Kazootie was a television show popular in the 1950's that won multiple awards and was cited by TV Guide as the outstanding children's show of the year. 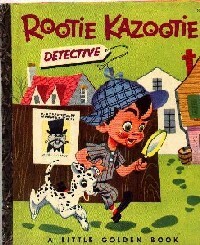 Rootie Kazootie, Detective. Pictures by Mel Crawford. Simon & Schuster, 1953. Little Golden Book #150. 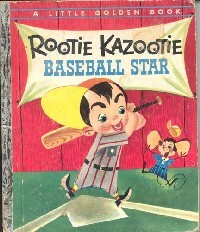 Rootie Kazootie, Baseball Star. Pictures by Mel Crawford. Simon & Schuster, 1953. Little Golden Book #190. 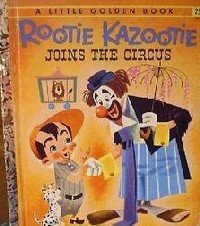 Rootie Kazootie Joins the Circus. Pictures by Mel Crawford. Simon & Schuster, 1953. Little Golden Book #226.